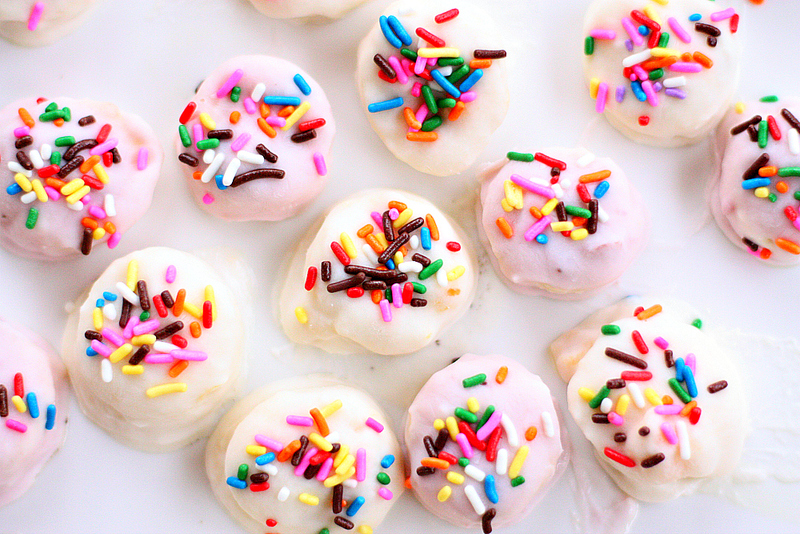 These delicious banana bites are one of my kid’s favorite snacks! I’ve been making them for years and keep forgetting to post them. M says they’re taste like a smoothie :). 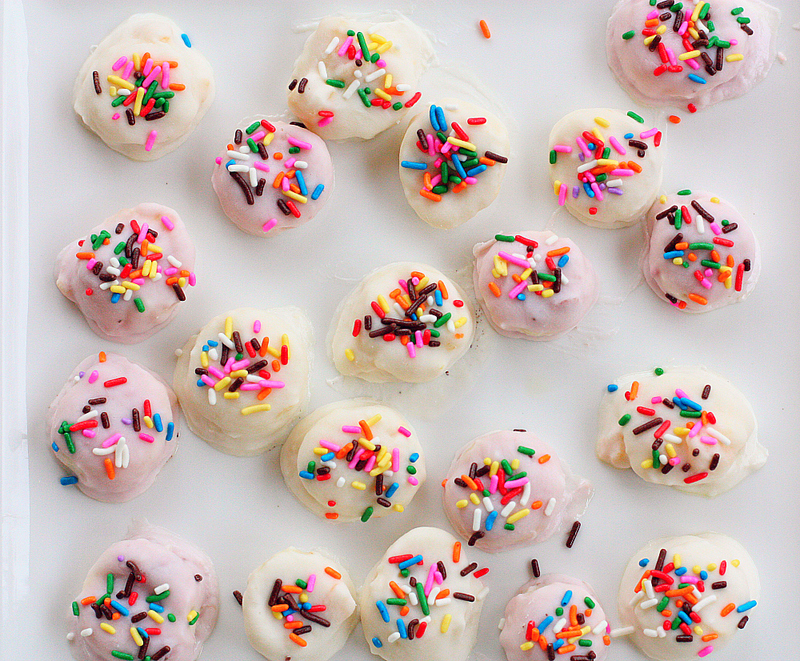 All you need is bananas, your favorite greek yogurt, and sprinkles (which are optional). You freeze them for a few hours and they are ready. The best thing about this treat is you can use any type of yogurt you like. For this batch I used strawberry and mango yogurt, but you or your kid’s can pick their favorite flavor of the day. This is also a great snack for the kiddos to make. My girls love dipping the bananas in the yogurt, and their favorite part is the sprinkles. I like to freeze a large batch of them and store them in a freezer bag. It makes for easy freezer storage and an easy to reach snack. Using a spoon, dip your banana slice into the yogurt and place banana on cookie sheet covered with wax or parchment paper. Repeat process with each banana. 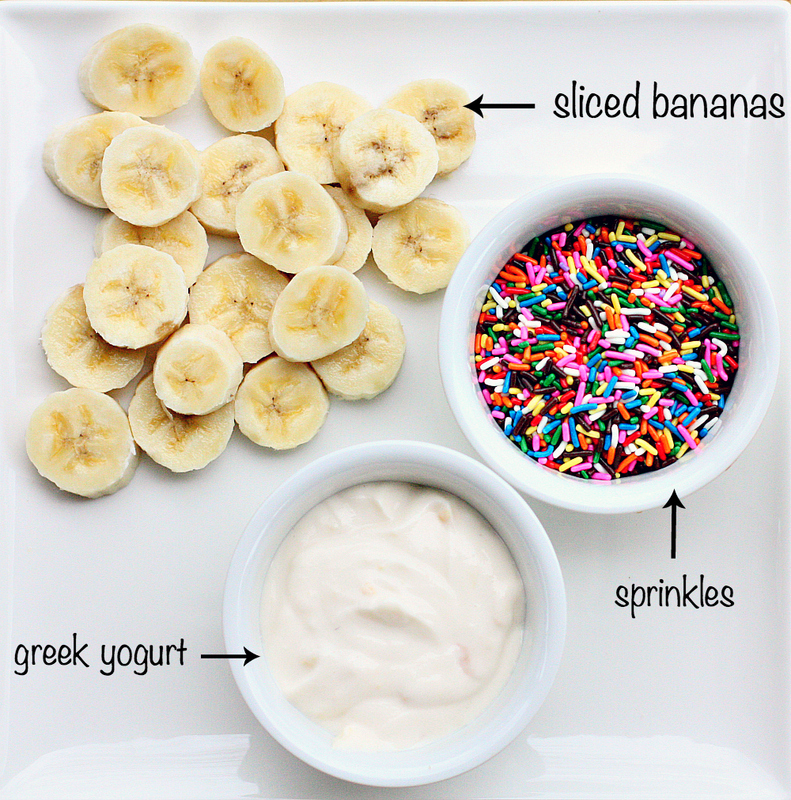 Top each banana with sprinkles. Place cookie sheet in freezer for 2-3 hours or overnight. Ohhh my. I’m very excited about this. Will be trying it this weekend. You’re a genius, Estela!